Amazon is not only a great place for both buyers and sellers, but it's also an awesome platform for affiliate marketers. There are people making thousands of passive income per month from Amazon alone by promoting other people's product. And that's the power of affiliate marketing! 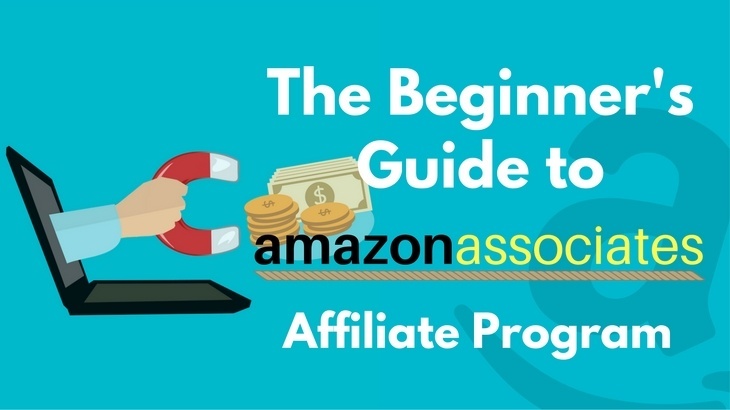 In this Amazon Associates Guide, you'll learn the essential knowledge you need to get started with Amazon's affiliate program and start earning commissions online. What is Amazon Associates Affiliate Program? Who is Amazon Associates for? Not Eligible for Amazon Associates? Amazon is the marketplace for people to sell and buy anything online. It is one of the largest E-commerce platform today. As for Amazon Associates, it is the name of Amazon's Affiliate Program. It allows people to promote any products on their platform and earn commissions for each sale. Basically, this is how affiliate marketing works - make money online by selling other people's product. Anyone can apply to become an Amazon Associates for free (with exception in some regions where Amazon is not supported). If you have the interest in making money online, you can leverage Amazon Associates. But the requirement is that you need to have a website when you register. So Amazon Associates is best for people who have a website or a blog. But even if you don't have one right now, check out my post on how to create a website for beginners. It's very easy to set up a website today without any coding or programming. So don't be restricted by the fact that you don't have a website right now. You'll have your own website running within a couple of minutes following my instruction! The first 2 stats show that a lot of people trust Amazon that's why they're spending so much on it. Whilst, the last stat shows that there's a huge market for affiliate marketers like us to make money by reviewing and recommending products. This is because consumers today rely a lot on "recommendation" to help make their purchasing decision. You can literally find almost any product on Amazon. If you don't believe me, take a look at their Full Store Directory. The good news for affiliate marketers is that you can promote any product you want on Amazon. Regardless of your niche, there will be products available for you to promote and make money. Being one of the top E-commerce platform in the whole world, Amazon must be very good at selling. They have refined their platform, sales page and all the structure to achieve the maximum result. I'm sure they are constantly improving and doing their best to stay as the top E-commerce platform in the world. 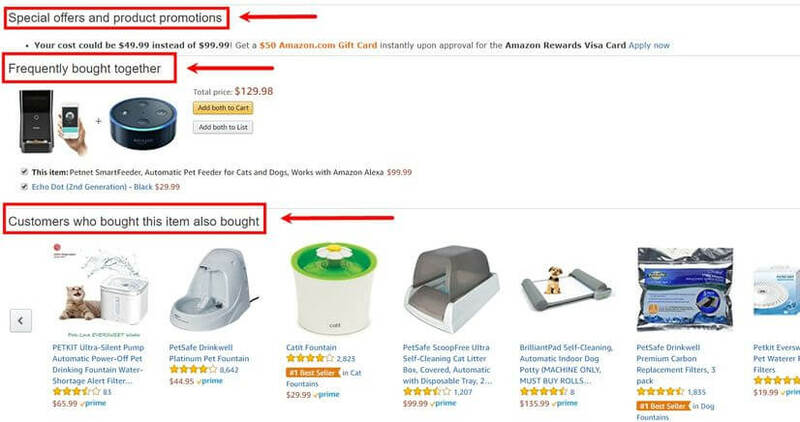 That's why we said Amazon is great at selling! Another good thing about Amazon's affiliate program is that you don't just get rewarded for the products you promote. As long as your visitors go through your Amazon affiliate link, you'll earn commission for all the products they purchase on Amazon within 24 hours. Even if they don't purchase the product you promote but purchase other stuffs, you still make money. So, it is possible to make a few hundred bucks when you're just promoting a few dollars product. Your visitor may go through your link but purchase a TV, laptop or any high-end products in the end. However, the 2 main disadvantages of Amazon Associates is that Amazon offers a pretty low commission rate and their cookies only last for 24 hours. I believe they have their reason for doing so. Despite that, people who know how to market can still make use of Amazon Associates to earn thousands per month. As you can see, their commission rate is pretty low as compared to affiliate programs offering 20%, 30% or 50% commission. However, there are many people who still can make hundreds and thousands of dollars just shows that Amazon is really good at selling. As long as you can drive enough traffic to Amazon through your affiliate link, you'll make money. Sign up with Amazon Associates here. And you're done with the initial sign up. There are a lot more detailed steps so follow the video below for a more thorough guidance! There's another problem with Amazon Associates - Not everyone is eligible to join (sadly)... Below are some of the common reasons why you may not be able to share this huge pie. Like I've said earlier, you need to have a website before you apply. You may be rejected if you have a brand new website without any content or very little content. I would recommend you to at least have the basic content and structure in place before you apply. If they reject you because of not having enough content, you can still re-apply after you've put up more contents on your site. Anyway, there's no point applying for affiliate program if you don't have a decent website yet, because having a website is one of the best ways to make money via affiliate marketing. Having a website and building your own brand is still my preferred way of doing affiliate marketing for the long term. FYI, I've heard a trick to apply for Amazon Associates without your own website. You can use someone else's website to apply. I'm not sure how this works and whether this will work. It's just something I've heard of people doing. If your site has too much advertisements, Amazon may reject you as well. Having too much Ads can lose your website's focus and also make your website looks like a spam. Amazon doesn't want to see that for sure. Sites that contain sexually explicit/obscene materials or promote violent/illegal materials. These sites will definitely be rejected by Amazon. Unfortunately, there are certain regions where Amazon affiliate program is not available. For example, there are certain states in the US are banned from having Amazon Associates due to tax law issues. What I know is that Amazon doesn't explicitly say which states are banned in their FAQ page. If you happen to be in the state where Amazon Associates is not supported, don't be upset. There are other opportunities which I'll talk about later on. For more information about Amazon Associates eligibility, check out this post. There are a lot more detailed information on this. There are 2 main types of affiliate programs - Affiliate network and Private affiliate program. Affiliate networks are large platforms that help companies to manage their affiliate program for them. So it's like a search engine for affiliate programs/products. Whilst, Private affiliate programs are affiliate programs offer directly by the seller/company on their own website. So, they won't be restricted by the rules of affiliate networks but they'll have to manage the technical side of affiliate programs themselves. Apart from Amazon Associates, there are actually quite a number of other well-known affiliate networks. They all have their own market share. And they are all profitable as long as you do it right. Check them out and spend some time to see which platform is more suitable for you and your niche. Other than affiliate networks, you can also look for private affiliate programs in your niche. Sometimes, private affiliate programs may have a higher commission rate. Just search in Google " YOUR KEYWORD + affiliate program", you'll be able to find most of the available affiliate programs. In-text advertising networks are tools that help connect marketers with merchants to create a win-win situation for both parties. For example, by joining VigLink for FREE, you get access to more than 30,000 affiliate program opportunities all in one platform. Other similar platforms include Skimlinks and Infolinks. They are also good alternatives to Amazon Associates. You can sign up with many affiliate networks and affiliate programs for FREE. 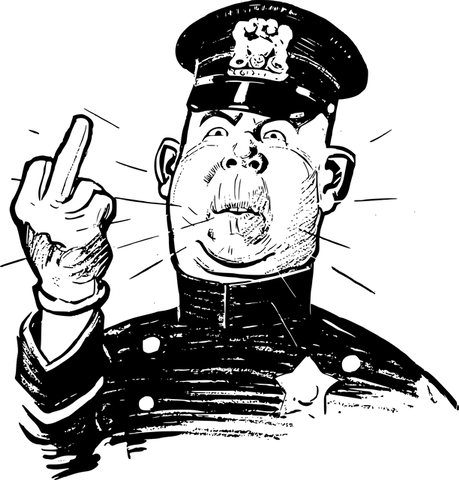 You are considered an "asset" to these affiliate programs because they want affiliate marketers like YOU to promote their products. You just have to pass certain criteria, like having a decent website to run your business and work with them. Once you're accepted, there will often be training and guidance provided to help you. Amazon's affiliate program is a huge thing for many affiliate marketers. Many are making a 6, 7 figure income just by leveraging Amazon Associates alone. So, if you really want to make some serious money online, don't miss out this opportunity of sharing this huge pie. It's not going to be easy when you just get started. This is true for all other endeavors, right? But the rewards afterward will make everything worthwhile. Imagine you can quit your job if you want to, making money while you sleep and travel. All these can be done by leveraging Amazon Associates. Affiliate Marketing is my top recommended business model and it's also the way I make a living online. I found your article very well written, however you did forget to mention one of the key points to Amazon’s Associate program is that family/friends cannot make purchases through your links. You will not receive commission off of those purchases and per their agreement if it happens too much you could even lose your associate status. I am just starting out, and I am currently an Affiliate with Amazon, however that one key point is very crucial to someone starting out because word of mouth advertising is how most new-comers get sales and drive traffic. Just wanted to share that, so people could be fully informed about the affiliate program. There is no question that Amazon is huge and if done properly it could be financially successful, just as long as it is not coming from family or friends. And also, in case anyone wondering, they will not tell you how they determine who is friend/family member. Again, Amazon is great if you have the traffic from unknown sources, they are reliable, trustworthy and huge, however just starting off, if you are trying to get your name out there, Amazon will not compensate for any friends/family members that make a purchase through your site. Thanks for adding that important point I didn’t talked about in the post. I agree with you. Beginners should definitely beware of that. I wish you all the best with your affiliate marketing journey. Do let me know if you need any help! I have read upon yours and many others intake on affiliate marketing. I enjoyed reading the information you shared especially the reasons on how one’s application could get rejected. I was wondering if you could tell me how exactly you link everything together. I was also wondering if you knew anything about LeadPages and ClickMagick? If so, what do you think about these? Are there any better tools out there that I could possibly use? I am currently interested in starting affiliate marketing but am doing my research before I begin anything. Thanks for stopping by and I’m glad that you enjoyed my post. What do you mean by how exactly I link everything together? What does the “everything” refers to? Sorry I don’t really get it. Yes, I’ve heard of LeadPages and ClickMagick but I’ve not used them before. I would like to help you get started in affiliate marketing. But I just want to understand which stage are you at right now. Are you a complete beginner without your own website? Anyway, here’s my top recommended community for you to learn and earn from affiliate marketing. I would highly recommend you to check it out! Thank you so much for your great article! Your blog has immediately attracted my attention because I’m in a phase of choosing affiliate programs right now. I agree with you that Amazon is a great place for bloggers, due to lots of pros. Therefore, my plan was to join Amazon, but, via Viglink, in order to have most of my affiliate programs under one “umbrella”. The problem was that Amazon in Viglink shows that don’t accept new publishers (for some reason). By the way, what is your opinion regarding Viglink? I’ve just written a VigLink Review. I feel it’s a good alternative to Amazon Affiliate Program, especially for those who are unable to become Amazon Associates. By joining with VigLink for FREE, you get access to more than 30,000 affiliate programs in one place which is really great. Seems like Amazon has become quite successful and is one of the largest online e-commerce’s today! I had an account with Amazon as a seller roughly 3 months ago, but decided to put it off at a later time due to not having the SKU numbers for some of the products I was selling at the time. Perhaps I may consider rejoining their program. You brought up some important information about Amazon’s affiliate opportunity that offers a wide range of benefits for online marketers. Amazon is indeed one of the largest E-commerce platform in the world today. I’m not familiar with the Amazon seller side because it’s a different story from being its affiliate. But I believe being a seller on Amazon can be profitable as well. Here’s a training on how to sell on Amazon. I hope you find it helpful and wish you great success! Hi there! Thank you for all this information about Amazon’s Affiliate Program. I’m sure getting into this program would open up a great opportunity to make some real money online. I have been wanting to join the Affiliate Program as I already have an existing account with Amazon. I have done the three steps in applying but can’t get my phone number to be verified. It’s always giving me the message, “Call cannot be made at this time.” Perhaps it has something to do with my location. I am currently based in Saudi Arabia. Anyway, I will be looking into the regions or countries where Amazon Affiliate Program is not available. Thanks again! I’m sorry to hear that you have issue verifying your identity. I don’t know what’s the issue. You can check out Amazon’s FAQ page for more info or contact their support. I really hope you can start leveraging Amazon Associates soon! What a brilliant website. I was thinking about becoming an Amazon affiliate and now I have all of the information I need to see if it will work for me. Thank you! Glad that this helps. It’ll definitely work out as long as you’re willing to put in the time and effort. Wish you all the best! I am a part of the Amazon program and the way it organize all of its products is just so amazing. Also, this is one of the easiest programs to be approved and join. I have also read many people’s success story of making thousands of dollars using the Amazon platform. This is one program affiliates shouldn’t miss out. I agree with you that Amazon is a very easy to use affiliate platform and many people have achieved great success on it. Glad that you’re part of it and I wish you all the best! Thank you for this great post regarding Amazon Associates Program. I have been considering this and I’m pleased to know that you do recommend them. It seems that some of their commissions are pretty low, however, it looks like several categories pay much better. And as you pointed out, they sell almost everything one can possibly wish to buy, therefore one should be able to cash in if you promote the right products. It sounds pretty simple also, the process of becoming an Amazon associate. I may very shortly check it out for myself and will let you know how it goes. 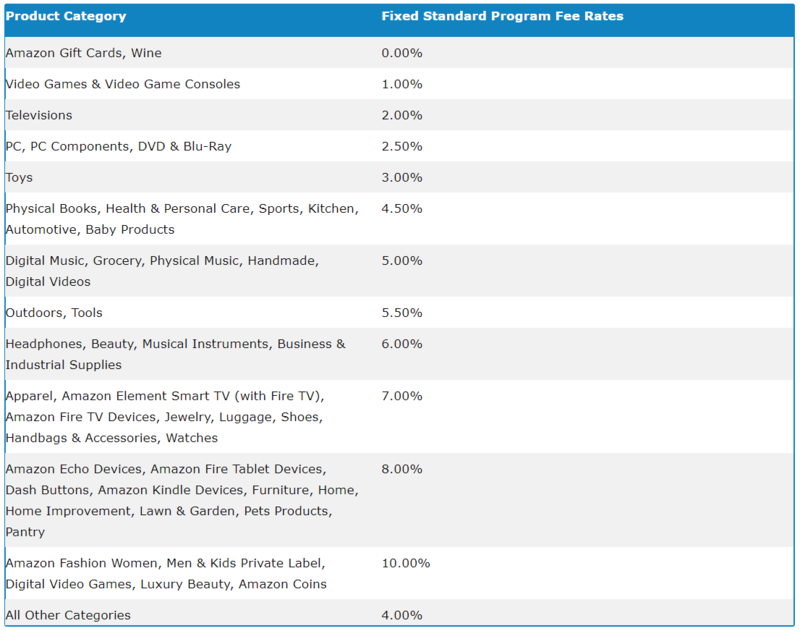 The low commission rate is something people don’t like about Amazon Associates. However, if you know how to market, you can still make big bucks with their affiliate program. The sign up process is indeed simple. A slightly more complicated part should be the tax information. Apart from that, everything is pretty clear on Amazon, which is a good thing. This is a very good detailed information on amazon affiliate programme and also how to sign up for it. Generally how much time does it take to build a website and earn money through affiliate marketing?? Does Ebay also have this?? Building a functioning website today only takes a couple of minutes. However, it generally requires around 3 to 6 months before you start to see some results and receive some commissions. I’m referring to beginners here. To turn it into a full time income, it may require a year or two at least. And Yes, eBay has its own affiliate program too. Check out eBay Partner Network.